Thong sandals emerged as a Spring '19 trend after we saw the Scandi influencers styling theirs with literally everything during Copenhagen Fashion Week. Gianvito Rossi's pair is made from taupe leather and comes with an antiqued gold curb-chain you can drape over the ankle for a little more of a statement. 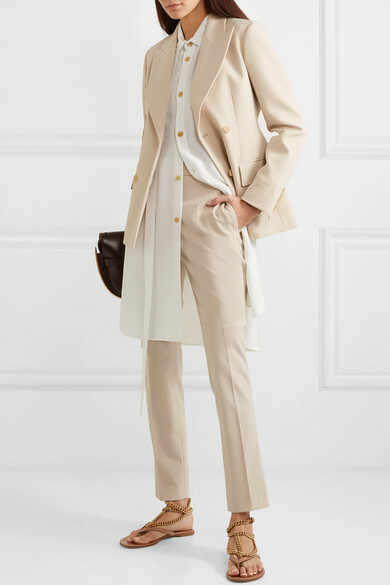 Shown here with: Loewe Shirt, Joseph Blazer, Joseph Pants, Loewe Shoulder bag, Sophie Buhai Earrings.